In order for young adult members and middle and high school student members who are preparing for their better future to sing praise to God with joy and to strengthen their faith for the gospel, the First New Song Festival was held. Before the autumn feasts when the gospel crops are harvested, nine remodeled Zions were dedicated to God in Daejeon City, Chungcheong Province, and Jeolla Province, Korea. The International Youth Forum 2015 was held for the young adult members who wanted to spend the golden period of their lives more meaningfully. 2015 Summer Camp for Middle & High School Students was held with programs such as the truth study, character education, and volunteer services. 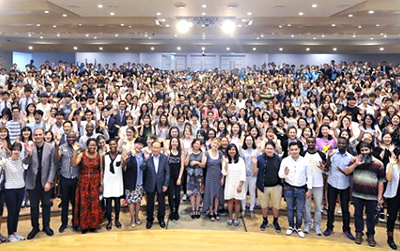 2015 Summer Camp for Elementary School Students was carried out in the Churches of God throughout Korea to foster students’ faith and emotional development. On May 29, the World Mission Society Church of God received the Korea Presidential Citation, the best organization award, for the 20th Marine Day. After receiving the Presidential Citation, the World Mission Society Church of God received another award—the Citation from the Minister of Public Safety and Security of Korea, on June 4. 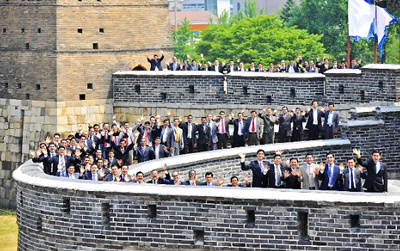 In June, the 63rd Overseas Visiting Group members came to Korea from 80 local churches of 23 countries. 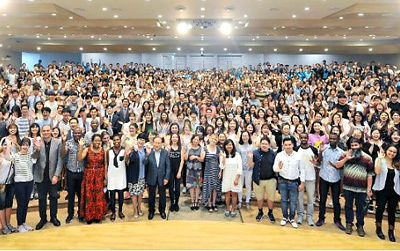 Six churches in the capital area of Korea had a more meaningful feast period, receiving the blessing of dedication service along with the Holy Spirit of the Day of Pentecost. On May 24, the tenth day from the Ascension Day, the Sacred Assembly of the Day of Pentecost was held. Asking for the Holy Spirit, the members celebrated the Day of Pentecost with excitement.